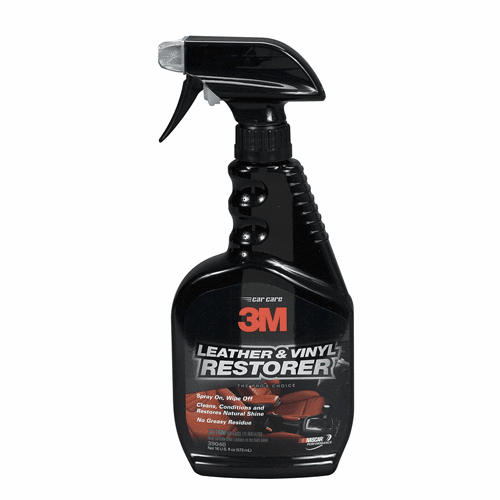 3M Leather and Vinyl Cleaner and Restorer cleans, shines, conditions and protects in one easy step. This cleaner is ideal for cleaning leather seats, vinyl dashes and plastic door panels in your automotive vehicle. Restore your vehicles vinyl, leather, rubber and plastic surfaces while adding a nice lemon scent.